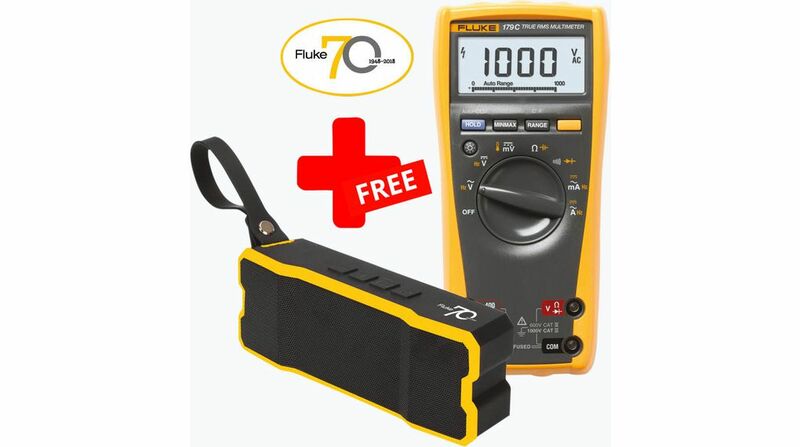 Please provide as much detail as possible regarding item 301-19-761, Fluke 179 True-RMS Digital Multimeter + FREE Bluetooth® Speaker FLUKE-179/SP TRMS AC. For professional technicians worldwide there is one preferred solution: the precision, reliability and ease of use they find in Fluke 170 Series True RMS digital multimeters. This is the industry standard, with all the features you need to troubleshoot and repair so many problems in electrical and electronic systems.